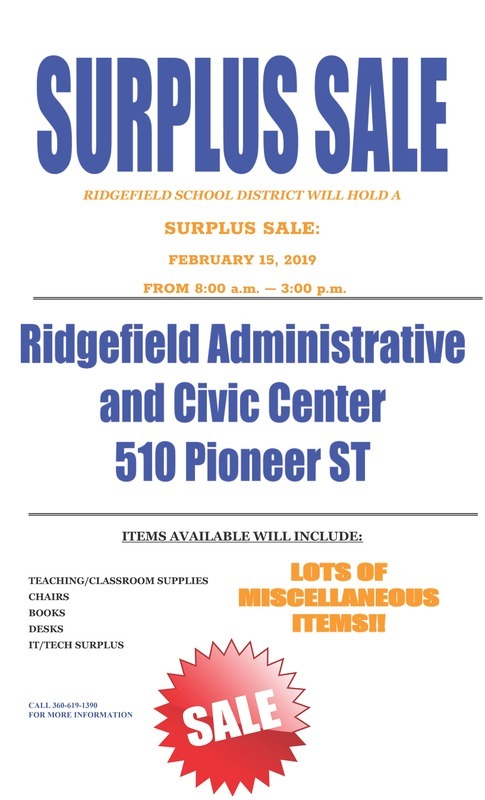 The Ridgefield School District is holding a Surplus Sale on Friday, February 15 from 8:00 am – 3:00 pm at the Ridgefield Administrative & Civic Center, 510 Pioneer Street in downtown Ridgefield. Items available for sale include classroom furniture (chairs, desks) teaching and classroom supplies and technology items. For more information, call Ridgefield Maintenance Department at 360-619-1390.